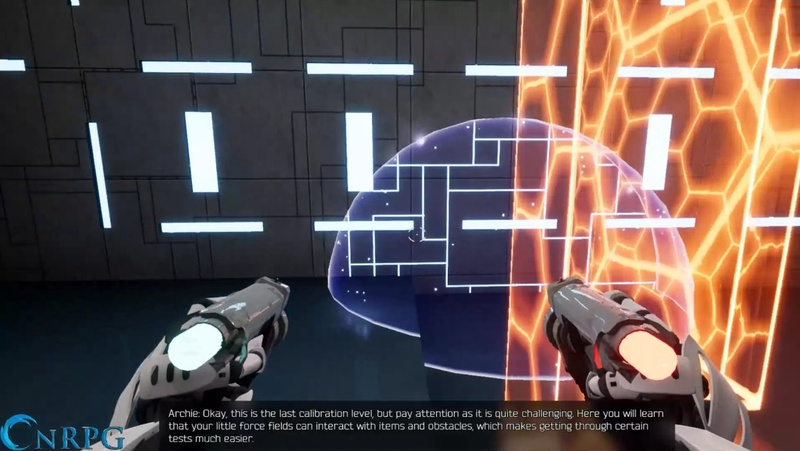 Have you ever found yourself wanting to play a game where you’re given some sort of experimental technology that bends the very laws of physics? A game that places you in a variety of rooms that manifest as puzzling challenges that you must overcome to advance? Do you think that game just wouldn’t be the same without a smarmy AI that adds an element of dark humor to the story? Well lucky for you, that game already exists! 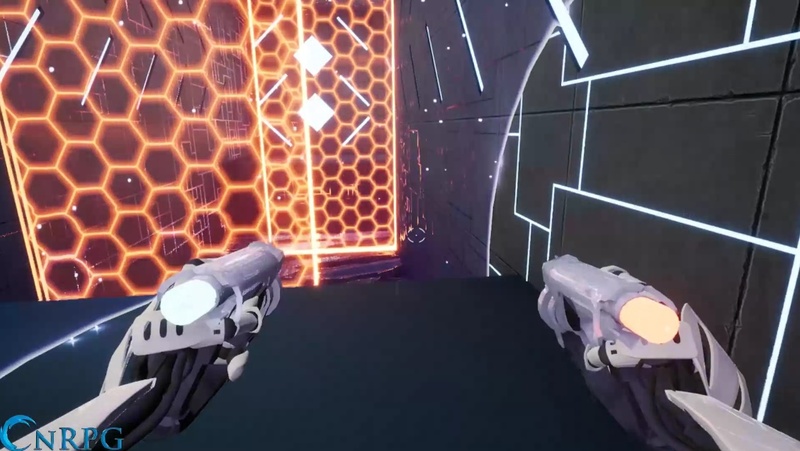 It’s called Impulsion, and was created by three French college students working on their Master thesis and released under the developer appellation Driving Force Games. Okay, now I know what you’re thinking. That whole premise sounds AWFULLY familiar. That’s mostly where the comparison to that other game ends though. 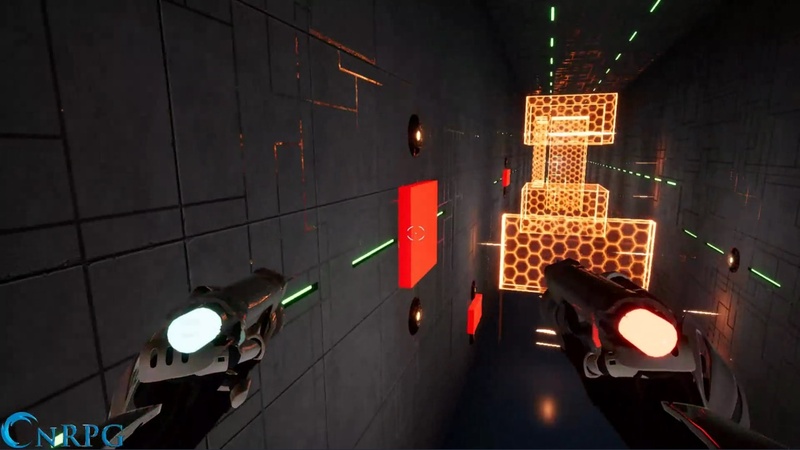 In Impulsion, for example, you don’t have one gun that shoots orange and blue energy that puts holes in walls that are connected. Nope, instead you’ve got two guns, one orange and one blue, that shoot spheres at the walls. See? Totally different games. Seriously though, from here on, things do get pretty different. The spheres in Impulsion actually create an impulse; that is to say, they alter your momentum in one way or another. Blue spheres will speed you up and allow you to jump higher and farther. Red spheres, on the other hand, actually slow you down, but also allow you to jump again after you enter them. There’s a catch though: red spheres can only be placed on special raised red areas, usually a square or rectangle. You also can’t target those same rectangles with blue spheres, and if you shoot a blue sphere too close to a red sphere, or vice versa, they’ll cancel out the older one. Still with me? Now for the fun part: the spheres don’t ONLY affect you. They also affect the obstacles in the game. There are a variety of ways you can use this to your advantage. You might speed up one light barrier, while slowing down the other, in order to separate them so you can run between them. Or you could speed up a floating platform so that you can reach it after making your leap of faith around a blind corner. The game really makes you think of clever ways to utilize the two spheres in order to progress to the next level. Progression isn’t the only name of the game, though. 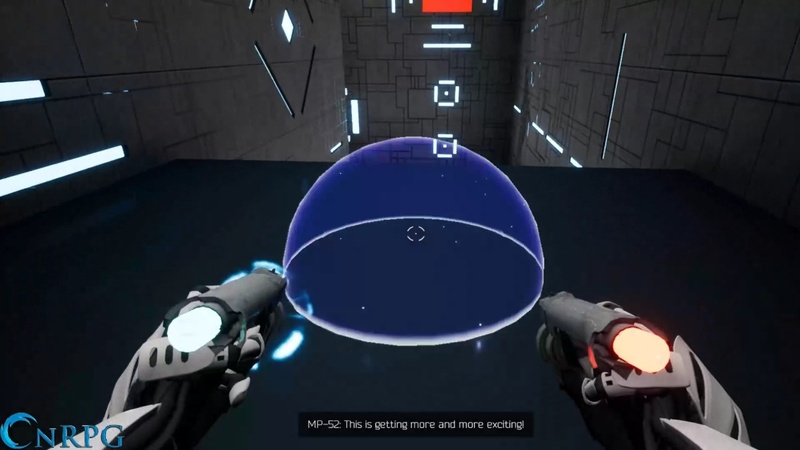 Well, the name is Impulsion, not progression, but I mean it’s not the only point of the game. There are 25 levels to conquer, with increasingly difficult challenges to overcome. Each time to run a level, you get a rating, with A being the best, I think. If they work on an S-rank system I’ll never know, as the highest I ever got in any level, including the very first level, was an A-. Thankfully the game ranks you only on your actual successful run, and not on the many, many, many.. many…… MANY times you fail (there’s an achievement on Steam for failing 10,000 times. You probably won’t have to go too far out of your way if you’re an achievement hound). You’re also timed for each run, and if you’re the competitive sort, there’s actually an online Leaderboard that you can compete on. Unfortunately for me, I don’t think there’s a leaderboard for most inglorious or most prolific dying. I would totally kill those boards. There are a few issues I have with Impulsion, but I’ll admit full well that some are extremely nitpicky. First and foremost, you’re supposedly a robot. That being said, you don’t sound very robotic. Then again, neither does Archie the AI, so that much is forgivable. The rest of the story just kind of doesn’t work for me though. You’re a robot, in outer space, supposedly being tested before being sent into circulation. Where I start to have a problem is that you don’t come off an assembly line. You don’t even come out of a crate. Nope, you wake up on a medical gurney. Then there’s the whole premise. You don’t actually enter the rooms to take the tests. You’re hooked up to a simulator. But if you’re testing the robot’s capabilities, why is it sitting in a chair? It’s mostly a little thing, but it’s enough that it constantly bothers me while I’m playing. Still, as I said before, petty and nitpicky. My other issue is that it’s just too damn hard, for me anyway. I got through level 7, then spent over an hour on level 8 dying, and after that didn’t have much motivation to go back. Granted, that’s a fault with me as much as with the game. However, I feel that the difficulty would be a much less bitter pill to swallow if you didn’t get sent back to the very beginning of the level every time you fail. Yes, there’s no checkpoint, no matter how long the level is. You do the entire thing in one go, or you don’t complete it. This was after about 10 tries not getting past those laser hurdles. Whether or not you’ll like Impulsion really probably comes down to whether or not you’ve got reflexes like the Flash. As an older gamer, pushing 40, I just don’t have them like I used to. However, I appreciate the effort that went into creating the game, and I absolutely believe that those who have better and faster reflexes than myself would find a great deal of enjoyment. To me, it ended up being a pretty game with a lot of frustration and cursing, after the first little bit. All in all though, Impulsion gets a solid 3 out of 5.